IMPORTANT: Please contact me first when you would like to order a translation of over 500 words. You will receive a quote within 1 hour. 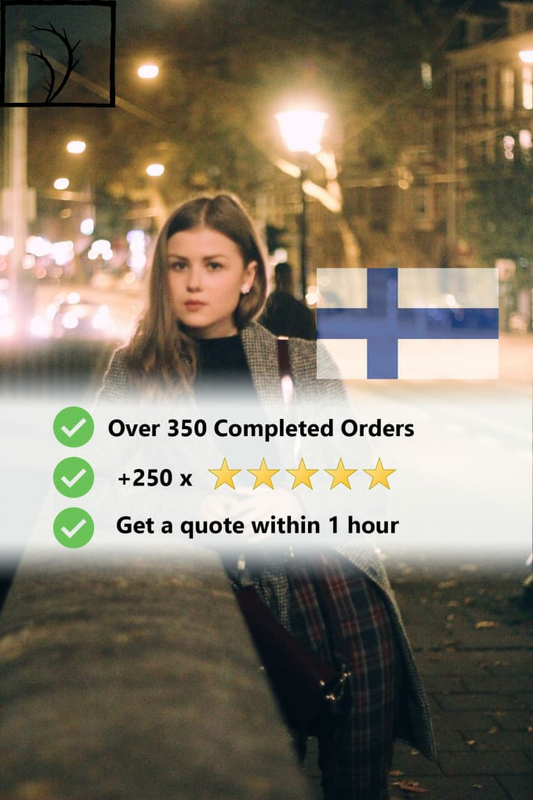 English to Finnish and Finnish to English translation service. We offer high quality translations with excellent service. All our translations are done manually, word for word. We guarantee that our translations are 100% correct. In case you are not happy with the translation, we offer a money-back guarantee. Your document will be translated by me, a native Finnish speaker with a near-native proficiency in English. It is possible to have a translation delivered the same day, please send me a message for more information. *Please note that the basic rate doesn’t apply to any technical, medical or legal documents. :Once again it was a pleasure to work with Maija. :Excellent translation (fin to eng), diverse use of grammar even with somewhat unusual or oldish words. No problems whatsoever. Thank you!